A FREE event for artists and creative businesses in Derbyshire. Whether you’ve just started up or are an established business, the Creative Derbyshire Roadshow will offer you an opportunity to meet other creative people, network and share ideas. 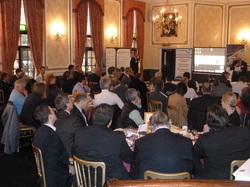 The event will feature talks, presentations, case studies and networking. There will also be a session looking at 'How to approach galleries' and a chance to hear the latest news from Creative Derbyshire - including details of a new apprenticeship programme for creative businesses. The event is a chance to find our about local support services for artists and creative businesses and make new contacts. Drinks and a buffet will be provided. To secure your place please click here.